Gathering mountains of tax data is likely consuming more than half your or your team’s day. 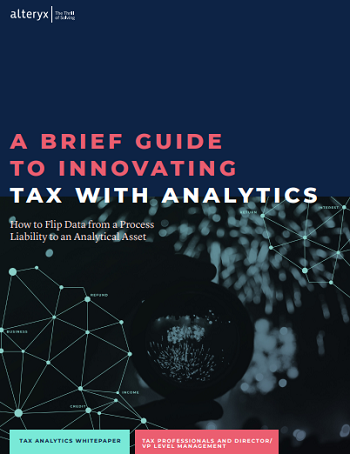 After all, tax functions spend more than 50% of their time gathering tax data and less than 30% of their time on strategic tax analysis. Transform your tax analytics with a solution that creates huge efficiency and productivity gains. Download your whitepaper now.